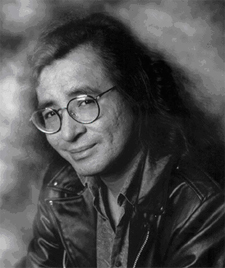 Tomson Highway was born in a tent near Maria Lake, Manitoba in 1951. He was the 11th of 12 children born to Joe and Pelagie Philomene Highway. His father, Joe, was an accomplished hunter, fisherman and sled-dog racer. His family lived a nomadic lifestyle and his first language was Cree. His parents, with no access to books, TV or radio, would tell their children stories, and Tomson fell in love with the oral tradition of storytelling. When he was six, he was taken from his parents and family and placed in residential school in The Pas. Although he resented being taken away from his parents and family, he did learn music, and had plans to become a concert pianist. He traveled to London to study, and earned his music degree in 1975 and a Bachelor’s of Arts in 1976 from the University of Western Ontario. But instead of becoming a professional concert musician, Highway instead decided to dedicate his life to the service of his people. Highway was drawn to the performing arts and helped to organize three major Native festivals in 1982: the International Native Music Festival in London, Ontario, the Navajoland Festival of the Arts at Window Rock, Arizona and the World Assembly of First Nations in Regina. He composed music for Native theatre, and in 1984, Highway joined the Native Earth Performing Arts Company in Toronto, the first and most enduring Native professional company in Canada. There, he also worked with his brother René who was a dancer, choreographer, and like Tomson, openly gay. His first published play is The Rez Sisters (1986). It features a group of Native women from the same reserve and their voyage to the BIGGEST BINGO IN THE WORLD. But the story is less about the voyage and more about each individual woman’s tragic and hopeful stories. Heavily influenced by Michel Tremblay’s Les Belles-Soeurs, Highway masterfully incorporates familiar Western modes with traditional Native aspects, such as the Trickster figure and Native languages. His second play, Dry Lips Oughta Move to Kapuskasing (1989), takes place on the same reserve and features the men. More controversial than The Rez Sisters, Highway pushes the envelope and looks to expose the problems, challenges and injustices that the Native population faces.